Nashville, TN -- Steve Johnson of Mountain Music Entertainment and Andrea Ball of Make Welcome Entertainment have announced plans to enter into an acquisition agreement. Under the agreement, Mountain Music Entertainment will transfer assets, including a number of artists on the agency roster, to Make Welcome Entertainment and the combined agency will operate as Make Welcome Entertainment. The acquisition and transfer of Mountain Music Entertainment to Make Welcome Entertainment becomes effective on October 19th. Johnson recently accepted a full time position with Wilkes Community College and MerleFest. 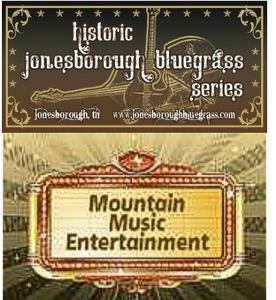 2011 was the debut of Mountain Music Entertainment's brand new Historic Jonesborough Bluegrass Series and they were thrilled with the support they received from all the fans of bluegrass music. They closed our 2011 season with a sold-out concert with our headline artist, Russell Moore & IIIrd Tyme Out! Mountain Music Entertainment is now looking forward to a very successful 2012 with an unprecedented lineup of talent. Junior Sisk and Ramblers Choice announce their latest Rebel Records album titled The Heart of a Song will be available late Summer 2011. The new project will feature the guest vocals of Rhonda Vincent on the duet number "The Sound of Your Name". The album will also feature the songwriting talents of Tom T. and Ms. Dixie Hall. The new release comes on the heels of the chart topping success of their last album Heartaches and Dreams which produced a number #1 song in "Train Without a Track" and remained the top album on the Bluegrass Unlimited Charts for four months, charting for over 10 months.